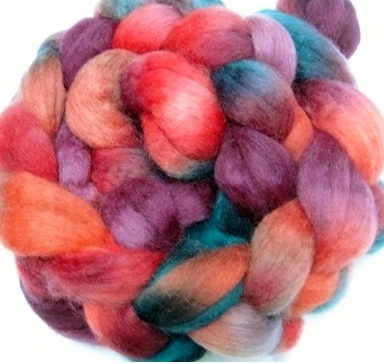 The Giro is underway and the days are getting longer, which means it must be time to get ready for the Tour de Fleece! This is the third year I've done special colourways for the TdF, and I'm excited to share them with you. First we have the colourway that highlights one of the stages not in France: this is Christkindlmarkt, to honour the start of this year's race in Düsseldorf. One of the great events in the Düsseldorf calendar is their annual Christmas market, so this colourway blends warms reds, pinks and oranges with a hint of bright green. Interestingly, according to Wikipedia (the source of all true facts, I'm sure! ), this year's Tour was originally scheduled to start in London, but that TfL pulled out a week before the announcement of the location. Too bad...it would have been fun to do a London colourway, but hopefully there's another chance! Moving on to Stage 4, we have the gradient colourway, this year drawn from legends around La Planche des Belles Filles, which translates to "board of the beautiful girls" and is the mountaintop finish of Stage 5. There are two stories around the origin of this name. One is that it comes from the local environment and the preponderance of beech trees; in the 16th century, the area was described as having many "belles fahys" (beech trees), which was then corrupted into Belles Filles. Planche (board) is derived from the name of a nearby small town, Plancher-les-Mines. The other, more disturbing story, comes from the time of the Thirty Years' War (1616-1648), and holds that young women from the town fled into the mountains to escape approaching Swedish mercenaries. Rather than surrender, the girls chose to drown themselves in the lake. One of the soldiers engraved an epitaph for "les belles filles" on a board as a memorial. 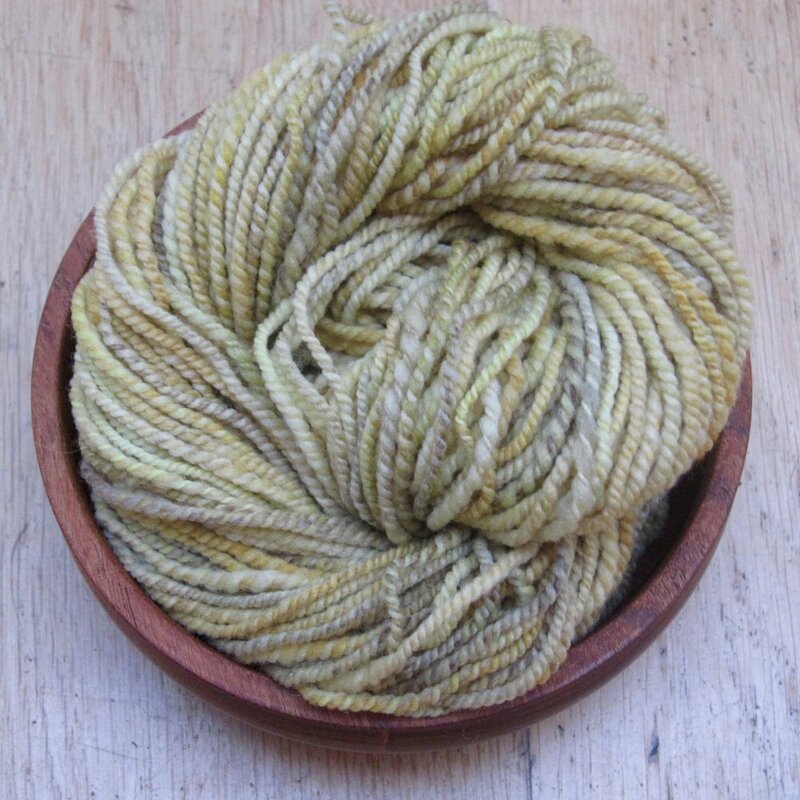 Needless to say, I used the beech tree image as the inspiration for this year's gradient, Fagus. Next up is the obligatory wine-inspired combination: this is Cabernet Franc, inspired by the black grape variety grown in the wine growing region of Bergerac, which the riders will visit on Stage 10. This colour was drawn from images of the grape itself rather then the deep reds that it is used to make. Finally, we have Brigantium, inspired by the start of Stage 18, where the riders will begin in the high mountain village of Briançon, and climb up to the top of the Col d'Izoard. This colourway blends the blues and greys of the mountains and sky with the orange of some of the older architecture. The name is taken from the name of the original Roman settlement in Briançon, which was mentioned by Ptolemy in his writings. 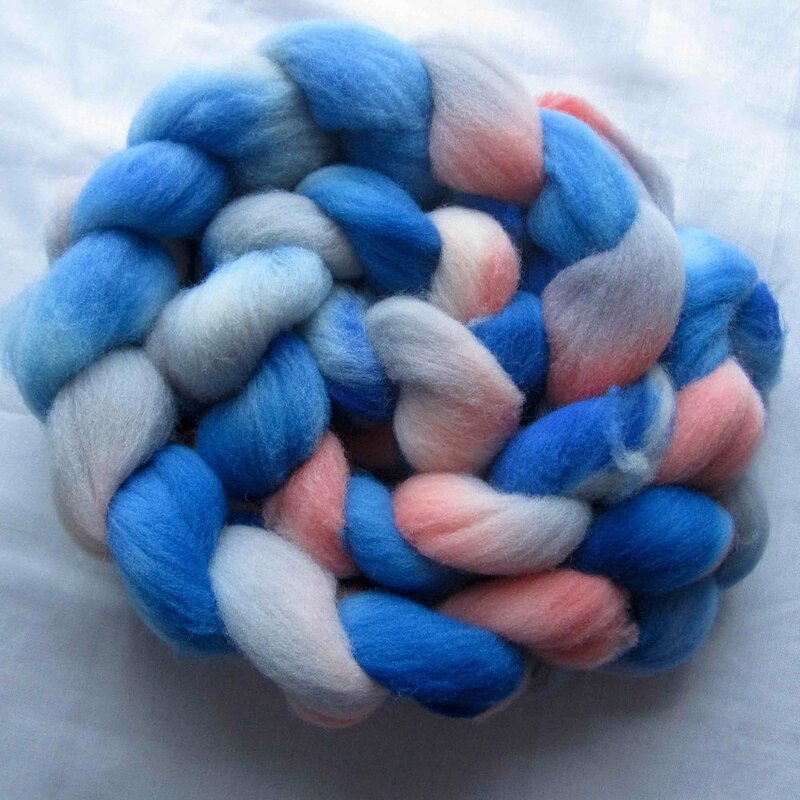 All of these colourways will be dyed to order on Charollais, this year's exclusive base. As they are dyed-to-order, I'll be shipping weekly only so there may be a bit of a delay in receiving your fibre, but I will do my best to get them out as soon as possible! 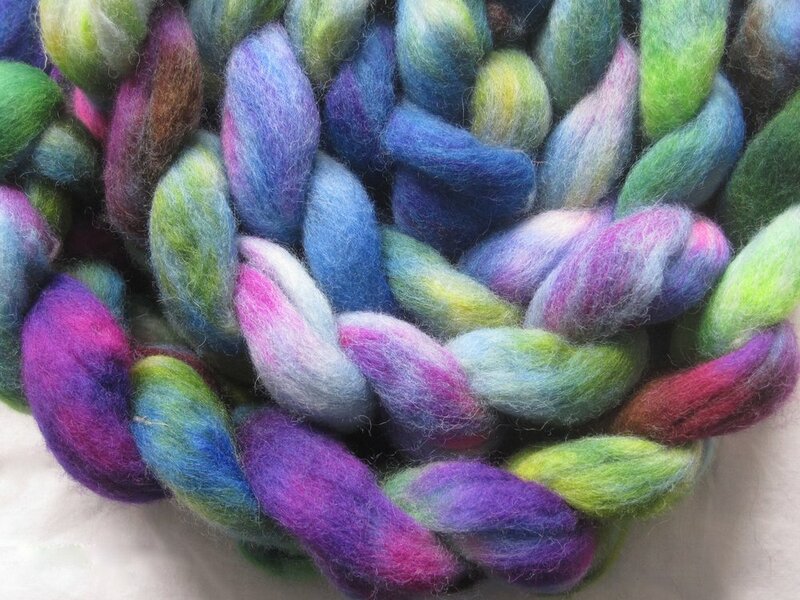 The Tour de Fleece 2017 colourways will be available from 10:00 am on Sunday, 21 May through Sunday, June 26 only, so that I can get the last batches out for the start of the race on 1 July. To get first crack at the TdF2017 colours, sign up to the newsletter below for early access to the shop update from 9:00 pm Saturday night. 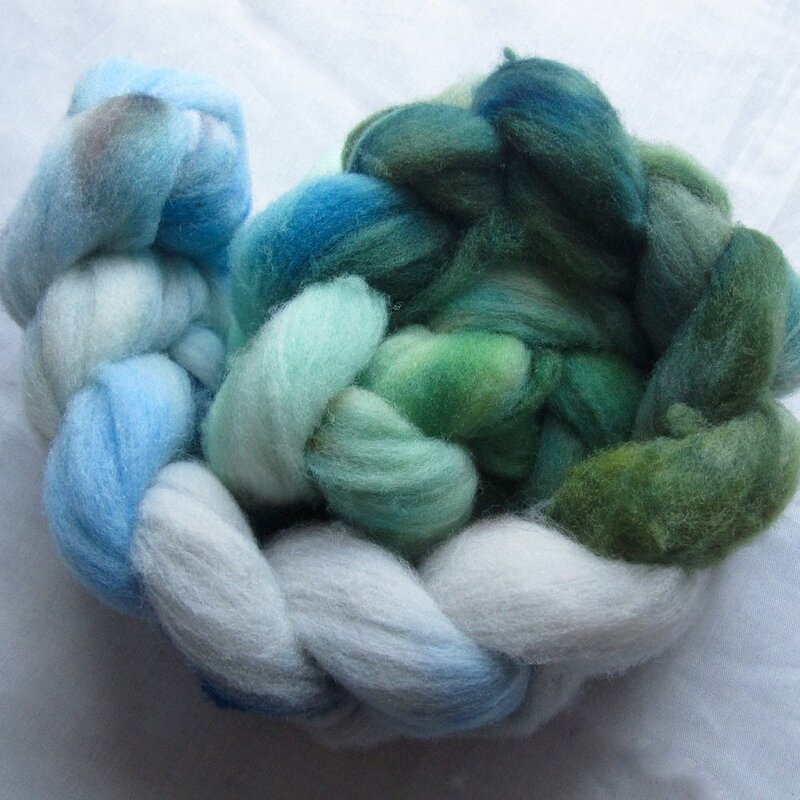 And I hope to see lots of you spinning away with Team Porpoise Fur for the Tour de Fleece!